I am hesitating between an Aster kitchen, a Nolte ( high-end range) and a Bauformat Kitchen. Can you please let me know what is the best option for me regarding design and quality? Please add to the list above Arrital. They are all almost the same price except for Aster. All the showrooms are in Lebanon. Dala – Aster or Arrital. We have got a quotation for aran – carcase in plywood and Nolte – carcase in particleboard. Which one would you suggest? Both are similar in pricing. Any thoughts on Rational Kitchens? Have looked at Hacker (somewhat limited on what they offer and very limited on colors) and Pedini (our local dealer put together a great plan for twice what they said it would cost, then tried to sell us their own brand (which we have never heard of). Our bathroom co deals Rational Kitchens and says they used to sell Poggenpohl and that Rational are just as good at a lower price point. Thoughts? heather – Haecker is better than Rational… I’m surprised at what these dealers are displaying and doing… Where are you located? Hi Kitchenguy – great blog, I’ve learned a ton. Based out of Toronto, ON, Canada; just bought a nice high end condo but hate the 12 foot by 12 kitchen. Replacing the appliances with Thermador, looking to redo the cabinets as the flow makes no sense. Thinking about Leicht … looked at SieMatic but way out of my price range and designer was snobby. Any other suggestions – have read great things from you about Haecker and Pedini but don’t think they’re in Toronto? Leicht is saying ~ C$20K for cabs + 10K for countertops (+25K for therm appliances) … does that sound reasonable? Rav – thanks for the kind words. I don’t think that Haecker is but Pedini is available through Domani – they have a couple of locations. Thanks – I went with Pedini Eko, through Domani. 60 percent More expensive, but much better designer and product. Thanks so much for your blog! Rav – sounds like a good choice! Hi, kitchenguy. What dou you think about these German kitechen makers: Ballerina and Impuls. Impuls is about 15% cheaper. Which to choose? living in Berlin and I am currently deciding between bulthaup b1 which is their cheaper product with Siemens/AEG appliances or going to Hacker for their highest range – all with top notch appliances like Miele/Gaggenau/Bora etc. Personally I like bulthaup design but I am wondering if Hacker wouldnt give me better quality/value in the end? boban – price both and ak them to give you a comperison. I’m looking at Kuhlmann and Rotpunk brands for my kitchen in new build. I am in UK. Neither are cheap but not too expensive. Any thoughts on these brands they dont seem well known in UK. As an alternative Burbage has been suggested to me as a UK brand…never heard if it have you. I am looking for a handless door and a big Island. 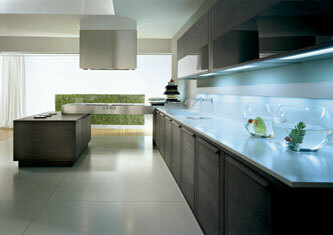 Would love Siematic but dont have 60k to spend. liz – decent choices. Go with your instict. Hello great blog! I am located in the on Houston, Texas, US and I like the the design and quality of the Clive Christian or Mark Wilkinson. It is extremely pricy. I love the kitchen but I am trying to find a way to get it cheaper. 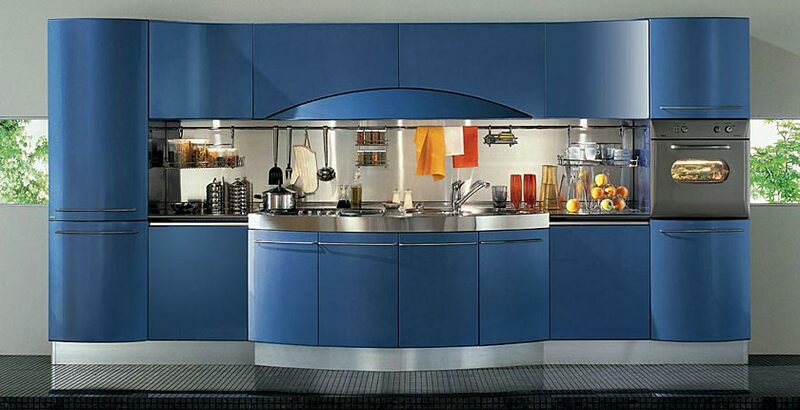 Do you know of any European kitchen cabinets company that can produce similar styles and quality products at lower prices? If not are they any other companies you can recommend that give the same look without having to spend $150,000 plus for kitchen. Rick – Hacker, Leicht, Schuller Rational. what is your opinion of matt glass fronted doors as opposed to matt lacquer doors to pairing with a wood finish? Ro – matte glass is generally tempered and stronger and should not scratch. The only downside is the cost. Susie – they are mid to high price point, based on the model/finish/options you choose. Susie – mid to low. And finally???? How about Armony Spa Italian kitchens.. mid or low end? Thanks sooooo much in advance.. great blog???? We are in the process of ordering a new kitchen and wanted your opinion between Aran, Scavolini, Lube, Euromobil or Veneta. These are the ones offered where we live. Would you recommend one? They all look more or less the same but don’t know about quality. Thank you! Gri – you said it right – “They all look more or less the same” and they are more or less the same quality. I would go with the designer/showroom you feel most comfortable with. Brandon – 1. yes, it’s a small company and they are not cheap. What type of style, look, finish are you looking for? 2. Sure – where are you located? I am currently looking for a kitchen for my house. I have visited my Local Pedini Dealer and SieMatic Dealer. I love both products. But I would like your input towards the choices. If you have only one choice which one would it be? Also Id like to ask if Pedini is a better brand than SieMatic? Yogi – both are great choices. I personally prefer Pedini – I think their designs are more exciting. In fact I was browsing for kitchen for our country house and i noticed a new brand Arrital. I like their designs and they use german hardware, what do you think? Where can we classify them? We are looking at hacker, rotpunkt ,leicht , nobilia and magnet kitchens, in which order would you rate them for quality/longevity?Is there actually much different in quality between them? Am fed up with all the spiel from kitchen salesmen! Whats your feedback on Hans Krug kitchens? Can you please let me know if Aran or Biefbi is of better cabinet quality? Thank you. Can you please comment on the differences between Biefbi and Aran? Which do you believe is of higher quality and value? Thank you. Hi Kitchen guy! What do you think on the quality of the kitchen brand Arredo3? Hi.I need to know whether recordcucine are reliable and how do they compare to stosa and Arredo 3. Hi Kitchenguy: I am in the process of re-doing/designing my kitchen. I am in between Leicht and Allmilmo. I love all the details Leicht offers but have been reading a lot of good things about Allmilmo… What are your thoughts about these two?? Thanks for your help!! I am really struggling with choosing new Kitchen Cabinets. This is new construction and we had issues with a previous kitchen dealer, so I am over cautious and nervous to pull the trigger. I am looking for a contemporary look and want good quality but trying not to break the bank. The companies I have looked at are Cesar, Dada, Euromibil, Binova, Varenna, Valcucine and Snaidero. A few things I have noticed: Out of all these companies, Dada has the tallest sides (depth) in drawers. All the others seem to have shallow sides. They also have a dust trap strip along the top of all the doors and drawers. Having said that, they don’t have many options for the interior (colors of shelving), and with our budget they don’t have options for the type of pull on the slab door. Frustrated – go with either Dada or Valcucina, if it’s in the budget. we are currently evaluating 3 german handleless kitchen quotes with gloss cabinets. Service/approach from each of the 3 dealers has been equally good so far, so im looking for some guidance on your view of the respective qualities. Also interested on your view between the Hacker classic and premium offerings. Is it only the lacquered doors and features that are different – are the carsacces/runners etc all the same between the 2 ranges? We are in the process of buying a new kitchen. Between Scavolini and Del Tongo would you recommend one? We value quality and finishes on kitchens. Thank you for your time! Dear Kitchenguy, if you had to choose between Aran and Biebi cabinets, which would you prefer? Thank you! Hunter – Biefbi (i’m assuming you meant them). Hi kitchen guy, Schuller, Nobilia or Alno.. in terms of quality and value for money at the mid to low end? Hi Again, YES, I am stalking you???? Your info. Is super. Just back from Salone de Milano. WOW? Valcicine, Boffi, Dada showrooms.. one more beautiful than the next?? Living in the USA, what are my best options to get European Style Modern Kitchen Doors. High Gloss Lacquered? Is there a good USA manufacturer as well? If not, which distributor sells European ones in Bay Area San Francisco, and then what European brand is best bang per buck? Stephen – Us brands can’t compare in quality to the Europeans. As far as “best bang per buck”, try Pedini’s Eko line. Hi Kitchen guy! We are renovating our kitchen and we are among these brands: Rot Punkt, Arredo 3, Arrital, Nobillia. These are more or less the same price tag, which of these do you recommend? We also have the SieMatic or Leicht options but they are pricier..We like minimal white laquered or synthetic design. Please help us! Thank you! maria k – all about the same. Go with the designer you like best. Can you group these companies by quality? Victor – Poggenpohl, Siematic, Snaidero & Pedini. Then Ernestomeda. Then Arrital & Scavolini. Can you rank by which ones have the most exciting designs? We’re in Australia and are comparing two options for the same mid century modern design. One is a mix of Doimo Cucina and ArcLinea. Are these all good brands quality wise? Anything to look out for? We are leaning towards the first option as it can better match the 1960s teak inbuilt furniture in our 60s house (surprising jack of teak/rosewood veneers about). Very informative!!! Can you kindly rank in order of quality Stosa (with 2 year guarantee), Nobilia (with 5 year guarantee) and Veneta (5 year guarantee). Thanks so much! Hi there kitchen Guy great blog! Ar tre. Could you rank these brands for me in terms of quality?? So you can make our decision easier!! Athena – all 4 are price-driven products. I would chose, based on the designer and dealer that sell them. Ben Fox – from the ones mentioned, stick with Hacker & SieMatic. Poggenpohl, Siematic, Snaidero & Pedini. Then Ernestomeda. Then Arrital & Scavolini. In your opinion are glass doors here to stay or a trend? possibly this is permanent solution / alternative to lacquered doors? Sergio – don’t know much about Crown. For the others, in the exact order you have them: First – Poggenpohl, Siematic, Snaidero & Pedini. Then second tier – Ernestomeda. Then third – Arrital & Scavolini. Hi Kitchenguy, currently deciding between Pedini Arke and Arrital AK. Pedini is substantially more expensive but reading from your other posts the Pedini kitchen is the higher quality kitchen. In what way is Pedini superior over Arrital? Which kitchen is of a better quality: Varenna Twelve or Rempp? Are they at the same level? First off your blog is amazing. I’ve found it impossible to find a helpful source in trying to find reviews and opinions. We’re looking to renovate a kitchen and are about to get estimates from several different companies in NYC. Right now, we’re starting with Siematic, Poggenpohl and the Haecker. The catch is we’re not too ostentatious and looking towards a fairly straightforward matte white kitchen with great build quality and not as much the aesthetic designs the upper brands are known for. It seems like aesthetic design is part of the premium for Siematic and Poggenpohl. Are there any other entry-level kitchen designers we should be looking at that you recommend? I couldn’t find a Schuller supplier. There might be a Nolte. Anyone else you recommend? Kev C – look at Bulthaup’s b1 and Pedini’s Eko. I got a good offer for the Express kuchen Star (Nolte). I’m worried about the thickness of the front (16mm) and finishing. Their brochure says: Laminate paintwork in high-gloss, fronts with color-coordinated, all around thick edging. What is this processing? Is that okay? The price is about 75% of the price for Dieter Knoll? Should I take Express Star into consideration or I should look at Dieter Knoll or something in that range? Damir – these are all ok. At that price, they are very similar. Can you please comment on the differences between Biefbi and Aran cabinets? Thank you. Hunter – Biefbi is a more custom product, while Aran is more price-driven. Hi kitchen guy, we’re creating a kitchen with a pretty big island and want to go elegant/modern but still very inviting, deciding between Boffi and Bulthaup- any preference or any others you think we should consider? Also, on the island we want a breakfast bar to seat 3-4 bar stools. Would you recommend using the island as it is for the breakfast bar or creating a separate level /ledge/ table effect in a different material? Which looks more elegant? Thanks, we are in London. Ballerina or Rotpunkt, are they similar in price & quality..
which finish do you suggest ?